This is the first batch of anything sweet I've baked this year, because I am trying to be true to my promise to shed the final 5kg. I haven't jumped on the scales yet, but I'm still getting the calls from the counselor as paid for by NSW health on the Get Healthy Program and she thinks I'm doing OK.
Do you remember this book, published in 1996? My mum put me on to her and I actually visited her as a patient too. She solved an on going problem I'd had, which other doctors hadn't been able to. It had nothing to do with liver cleaning, but my respect for her grew so much, that I thought I'd give her food a go too. I made quite a few of the recipes from Sandra's book and must share a few of them here with you at some point. But the banana and walnut muffin recipe is one I have made over and again the last 17 years and it is da bomb in terms of a healthy treat. No it's not as good as a cake laden with sugar, chocolate and all manner of naughtiness, but if you want to cleanse your liver this is a way to do it with something sweet. I often serve these as a breakfast muffin accompanied by a fruit platter. They are best served straight after baking. As the boys walked in from sailing on Sunday, they caught me shoving a batch of these into the oven. This was owing to the fact that I had two over ripe bananas, which were beyond eating and I find food waste abhorrent. It's probably a money thing, but also I hate to think of all the resources that have gone into producing and transporting something, only to throw it out. No thanks. Before I give you the recipe, lets talk styling for a sec. The Chinoiserie plate I bought at an estate auction in a job lot, the linen was a side of the road find and the mug was bought for the big Beach House brat at the Titanic exhibition held some time ago in Melbourne Thanks mum. 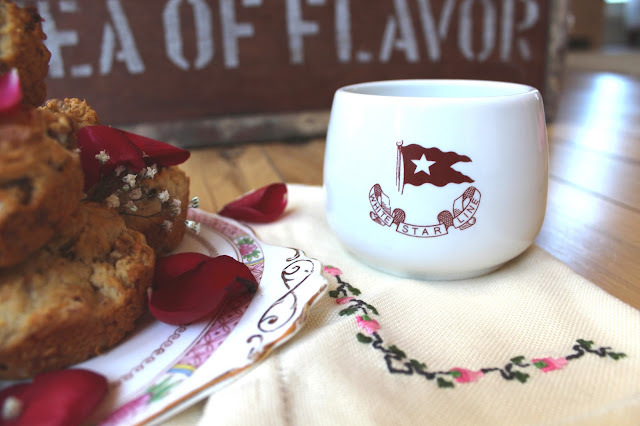 It is a replica of a steerage mug (third class) and the BHB loves it. Oh and the roses and babies breath were from a valentines bouquet from Mr Beach House. God love him. I don't want to sound ungrateful, but I probably will. That flower lady who appears at Mr Beach House's factory on all the big ones, Valentines Day, Mothers' Day etc really sucker punches him every time, $25 for five roses and a bit of babies breath, that were dead by the 16th. I have told him he is under no obligation to purchase, even though I very much appreciate the sentiment. I think he's scared of her. You can add a tablespoon of LSA, but I rarely do. Although I do believe this stuff has great liver cleansing properties. Mix bananas, honey, oil in a large bowl. Fold in remaining ingredients and mix. Spoon heaped dessert spoons of the mixture into a non stick muffin pan. Bake for approximately 20-25 minutes. 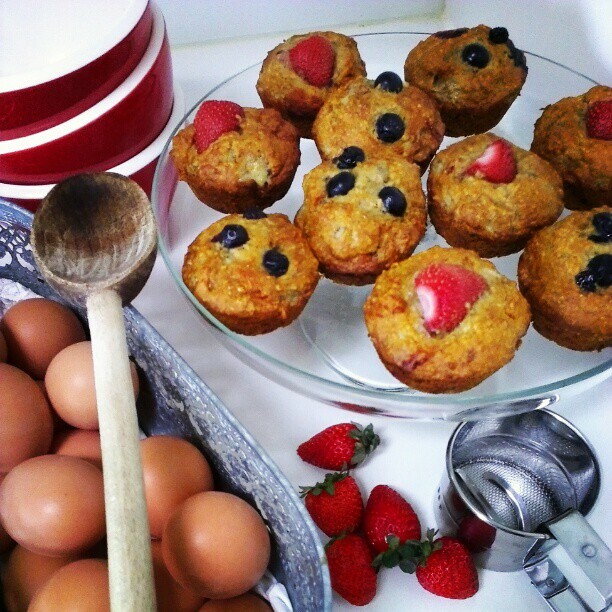 Make 10 Muffins. Post script: I made another batch of theses the other day, but had I no wholemeal self raising flour. Instead, I used 1.25 cups of plain wholemeal flour, with 1 teaspoon each of bi carbonate of soda and baking powder. The result was a beautifully golden, light and delicious muffin. I also topped this batch with some colourful seasonal fruit. So dang healthy. For all my other backing delights go here. Although I cannot guarantee they are healthy, only delicious. Here's to a healthy week beach dwellers. 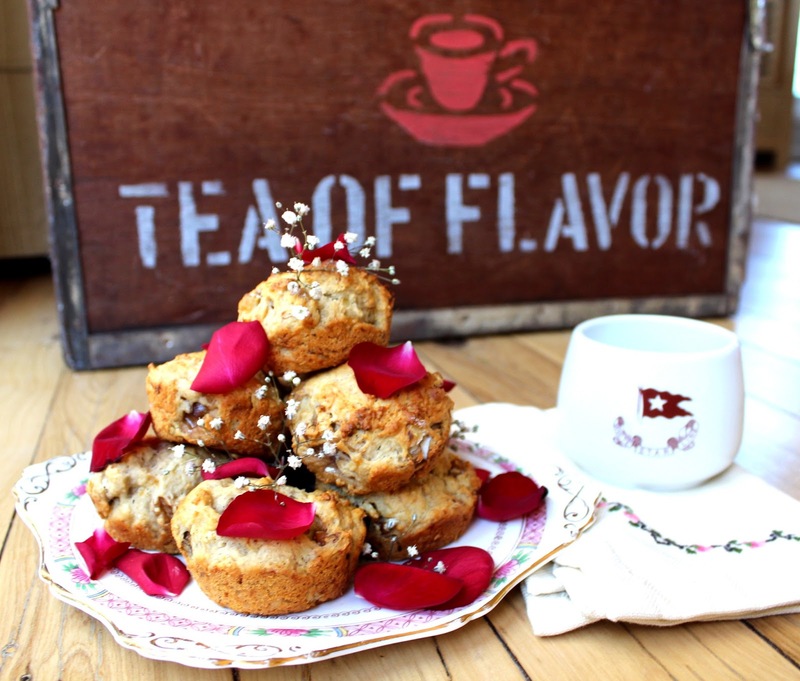 Wonderful muffins and so easy. Will try them out. I need healthy sweets. I'm forever freezing bananas - the girls won't eat them when they pass a point (and it happens quickly up here). I'll bear these in mind next time I'm wondering what to do with them! I too have overripe bananas at the moment, even past the smoothie stage. Will try this recipe today. Thanks!! they look delicious! i've long been an admirer of sandra cabot & have some of her books. i go to integrative medicine drs who have been connected to her practises. My sister and her husband have done the LCD a number of times over the last four years to great success. I remember my sis making these ages ago and thinking they weren't sweet enough for me. Now I've had a few goes at quitting sugar I can see that these muffins would be yum. I could leave out the nuts too and they'd be ok for my niece who is egg, dairy, sesame and nut allergic. Hey, I remember Dr Sandra Cabot from when she was a regular guest on The Midday Show when I worked there in 1988 - 89. I haven't tried any of her recipes, this does look great, and so much more nutritious than the post I am just preparing now. Love your styling, especially the gorgeous deep red rose petals. Back for your well rested cruise I see!!!! I'm glad that you had a great time. out this weekend. They really look delicious!!! Banana and walnuts! Yum! Two ingredients I love! These muffins look really delicious! 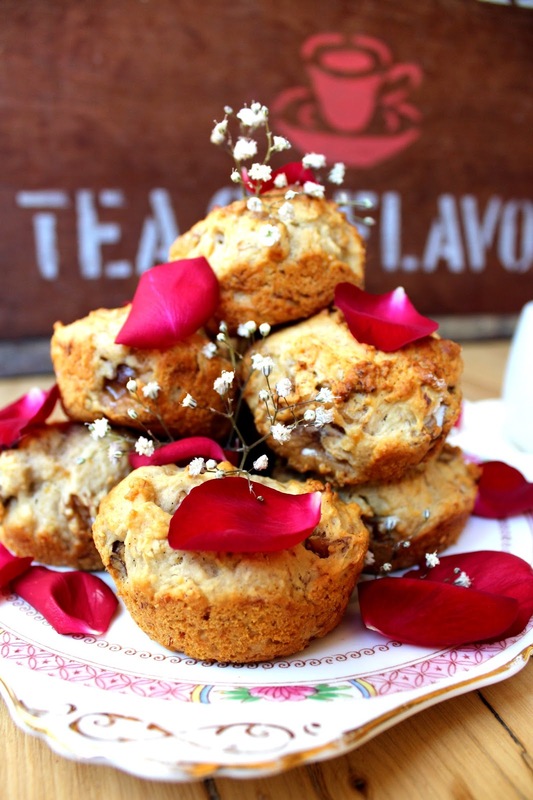 These type muffins would be good for all of us to try. Those muffins look very tasty! HPS to you and enjoy the weekend! 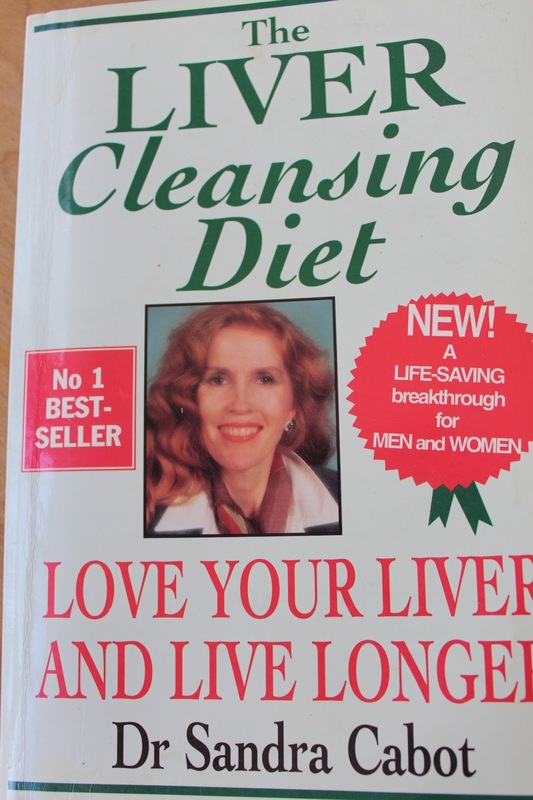 Nope, I have never heard of the Liver Cleansing Diet. However, if these muffins are part of it, I want the book now. HA! Lovely with the rose petals. We have experienced bad flower deliveries as well. The grocery store flowers are better and fresher. Lesson learned. Beautiful presentation of the muffins! Thank you for joining Home Sweet Home! 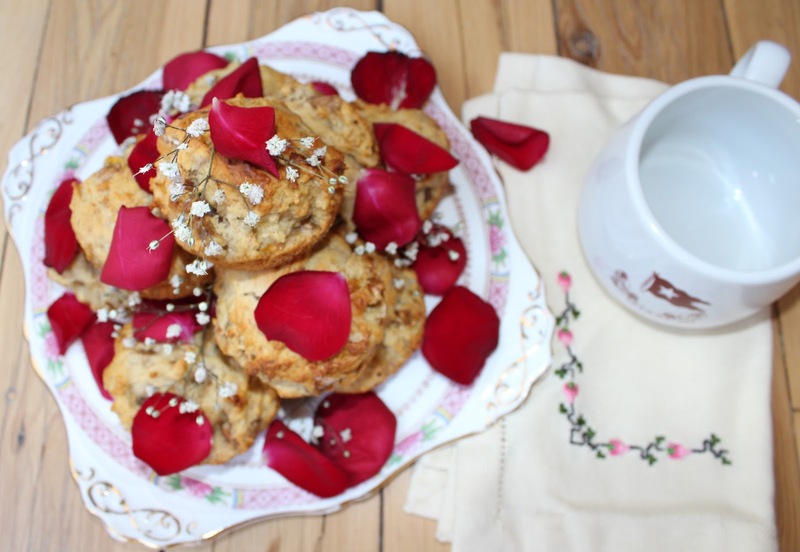 These look delish- I love healthy recipes! Found your blog through tuesday talent show and I'm a new follower!